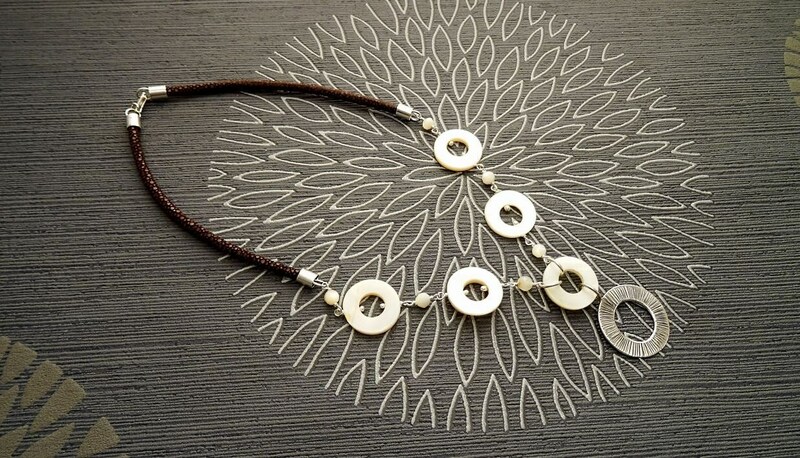 Absolutely gorgeous Boho Leather Necklace with genuine Mother of Pearl and Sterling Silver big Rings. 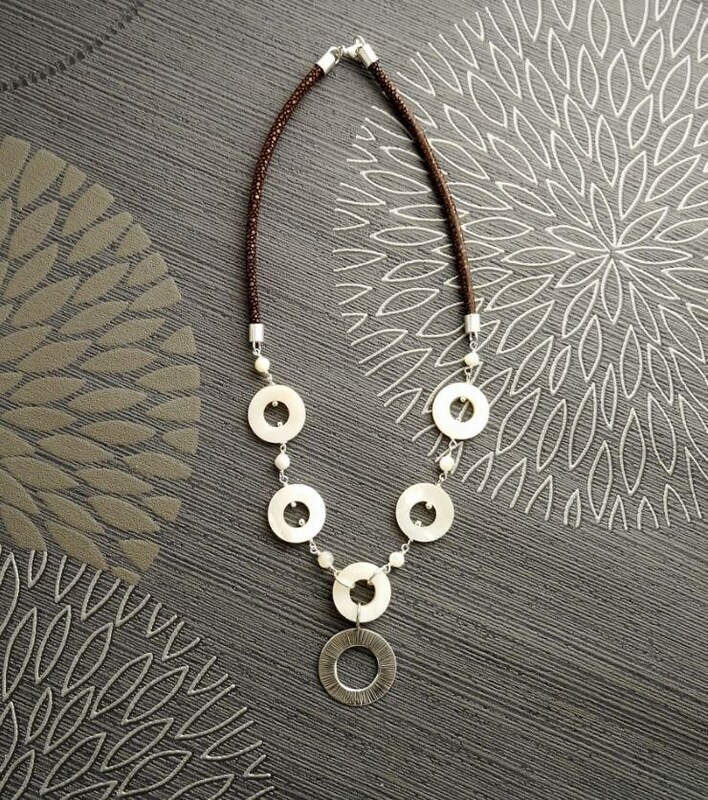 A perfect piece for the perfect finishing touch to your outfit! Stingray leather is a Precious Leather that is used in the universe of Luxury. 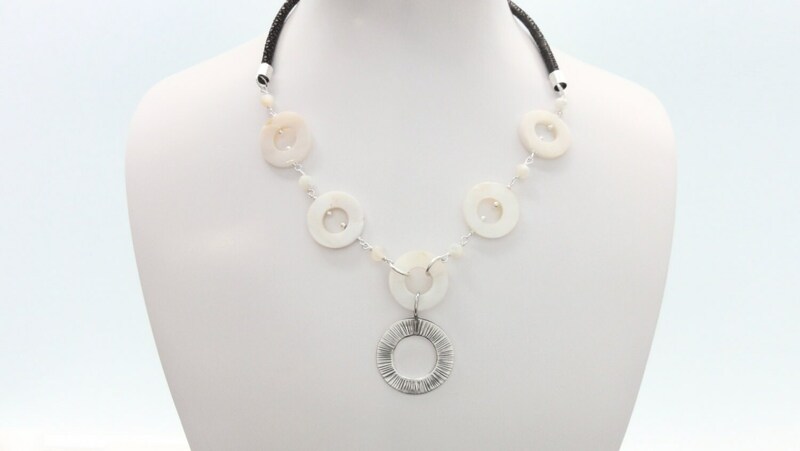 The Necklace is composed by 5 Mother of Pearl Rings and 1 Brushed Sterling Silver Pendant. 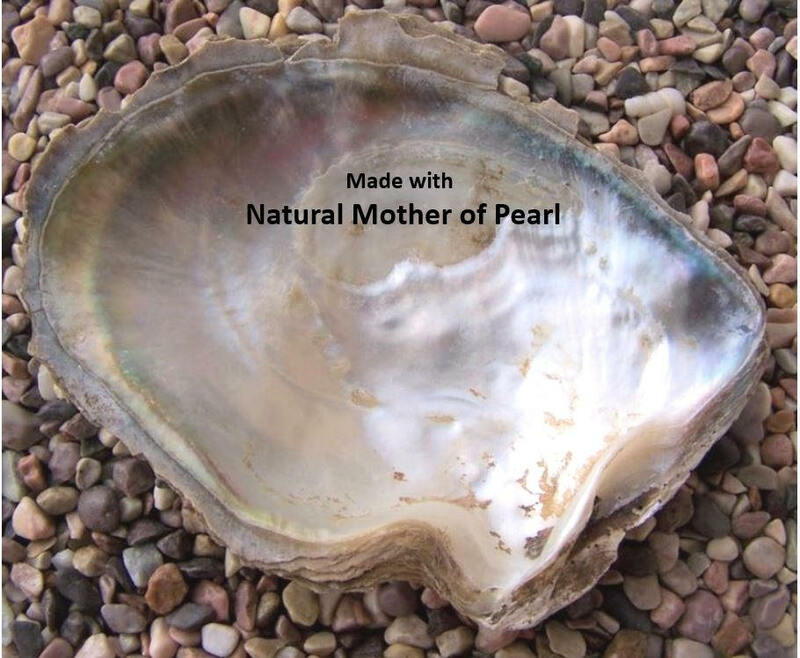 The Mother of Peal Rings diameter is 1.5 cm and the Sterling Silver Pendant diameter is 2.8 cm. 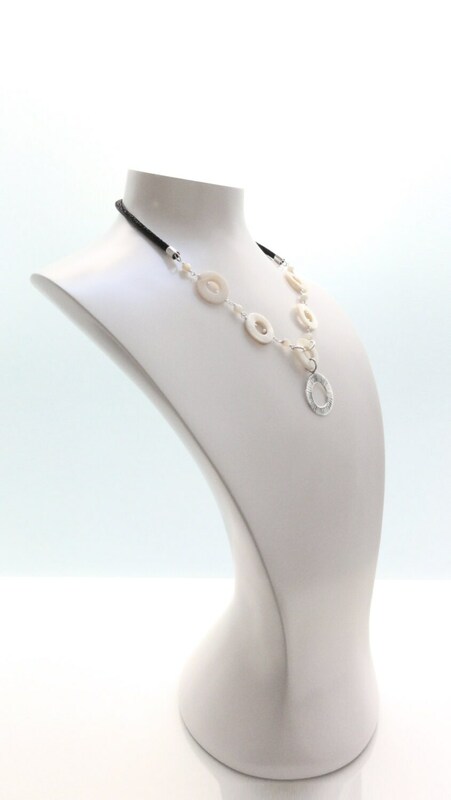 Necklace Length : 42 cm (16 1/2 inch). 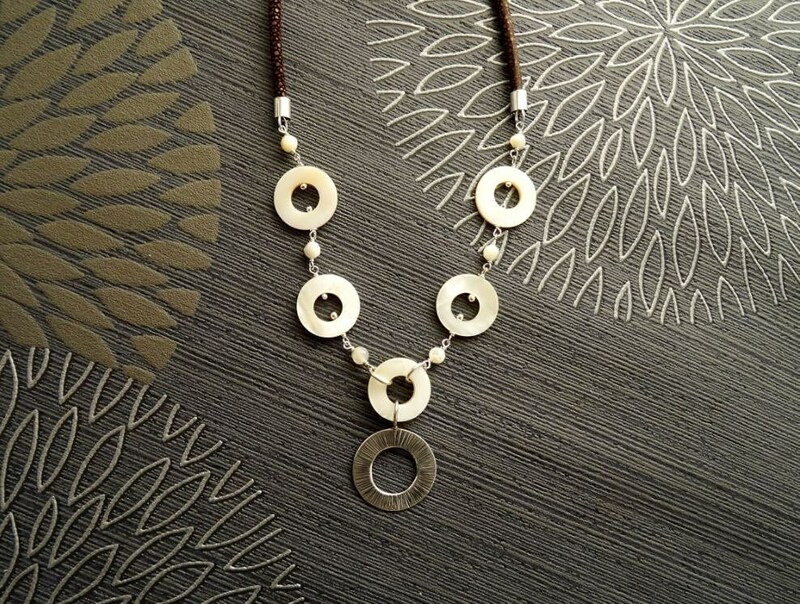 Gorgeous necklace! Arrived promptly from France and beautifully packaged.